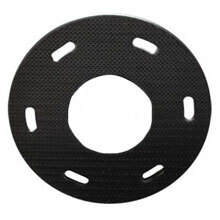 PAD-LOK Tufted Pad/Disc Driver - 16" Dia. 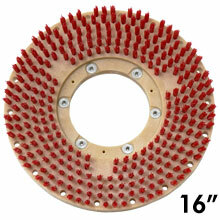 MAL-LOK Style I Tufted Pad/Disc Driver - 16" Dia. 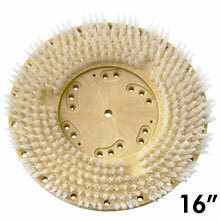 UNI-BLOCK Showerfeed Pad Driver w/ Molded Riser & Universal Clutch Plate - 16" Dia. 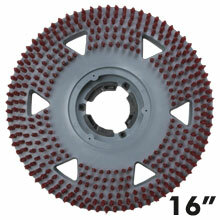 MIGHTY-LOK Polymeric Face Pad/Disc Driver - 16" Dia. Malish Mighty-Lok 3 Floor Machine Polymer Pad/Disc Driver - 16" Dia. 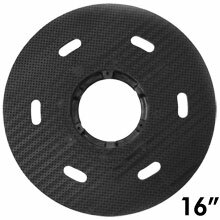 Malish SURE-LOK Polymeric Face Pad/Disc Driver - 16" Dia. 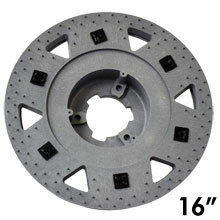 TRI-LOK Polymeric Face Pad/Disc Driver - 16" Dia. ORBO-LOK Sanding Screen Pad/Disc Driver w/ P-200 Clutch Plate - 16" Dia. Heavy Duty Sandpaper Pad/Disc Driver w/ Clutch Plate - 16" Dia. 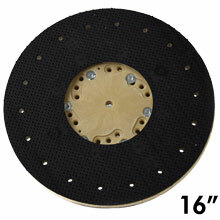 Economy Sandpaper Pad/Disc Driver w/ Clutch Plate - 16" Dia. 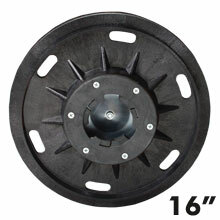 Mighty-Lok Pad Driver Face - 16" Dia. 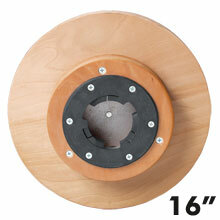 Mighty-Lok 3 Pad Driver Face - 16" Dia. Heavy Duty Sandpaper Driver - Our professional-grade Heavy Duty Sandpaper Driver is constructed from marine grade plywood and features a 3/8" thick foam pad for gripping sandpaper. 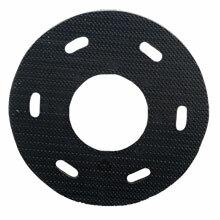 Economy Sandpaper Driver - Our Economy Sandpaper Driver is made from a plastic one-piece block with a 3/8" foam pad. ORBO-LOK™ - This innovation turns standard floor machines into orbital motion sanders. Use with a loose weave pad and sandscreens.